Stokes Leadership Institute (SLI) brings together emerging, established, and experienced leaders to tackle critical community issues. In recognition of Carl and Louis Stokes’ powerful legacy, the Stokes Leadership Institute engages leaders across the career continuum to learn about and work to address complex community issues. SLI will challenge you to address critical problems in these policy areas and provide you with the collaborative skill set needed to advance positive, lasting community change. The Senior Stokes Fellows are a select group of civically engaged and influential members of the community with a keen interest in mentoring and supporting the development and work of future and current leaders. Senior Stokes Fellows will be invited to participate. The Stokes Fellows are mid-career professionals who are devoted to learning more about the five policy areas and posses a strong interest in civic leadership and involvement. Stokes Fellows are accepted through a selective application process. 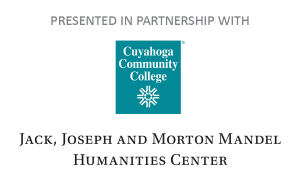 The Junior Fellows are selected from students currently enrolled in Cuyahoga Community College’s Jack, Joseph and Morton Mandel Scholars Academy by Tri-C faculty and staff in consultation with CLC. Participants are expected at each session, including the culminating public experience in June. Tuition for the Class of 2020 is $2,000 for Stokes Fellows. Stokes Senior Fellows pay no tuition. Limited financial assistance is available, and CLC will work with successful applicants to ensure tuition is not a barrier. Scholarships are determined via the scholarship application form that will be available on the same dates as the program application (April 1-30). Applications for Stokes Fellows Class of 2020 will open on April 1, 2019. There is a non-refundable $10 application fee. Applicants must have the full support of their employer and submit two recommendations as part of the application. Junior Fellows will register directly through Tri-C. Interested Jack, Joseph and Morton Mandel Scholars Academy students can contact Jensen Hanna. To learn more, email Lenora Inez Brown or call (216) 456-8004. Take your personal and professional commitment to our community to the next level. To learn more, email Lenora Inez Brown at lbrown@cleveleads.org or call (216) 456-8004.